A LimeSurvey plugin to enable overriding survey template for participants via URL paramater. Go to survey plugin settings. 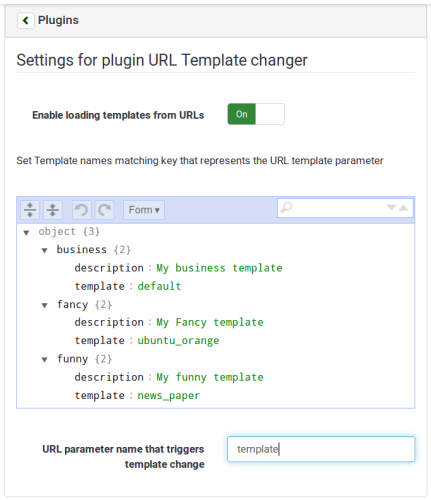 Set used url parameter values and respective template names as json setting. Set url parameter name that is used to get the template key.